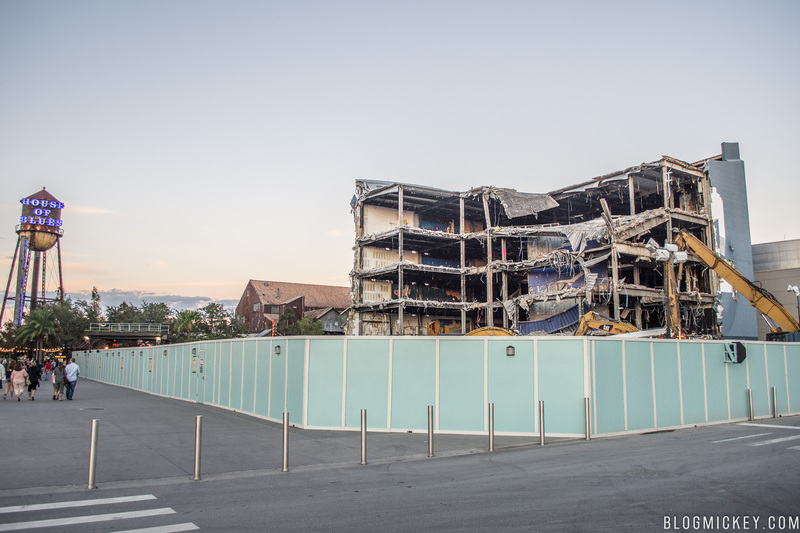 We made it out to Disney Springs in the dying minutes of sunlight last night and decided to stop by the former DisneyQuest site to check in on the demolition. 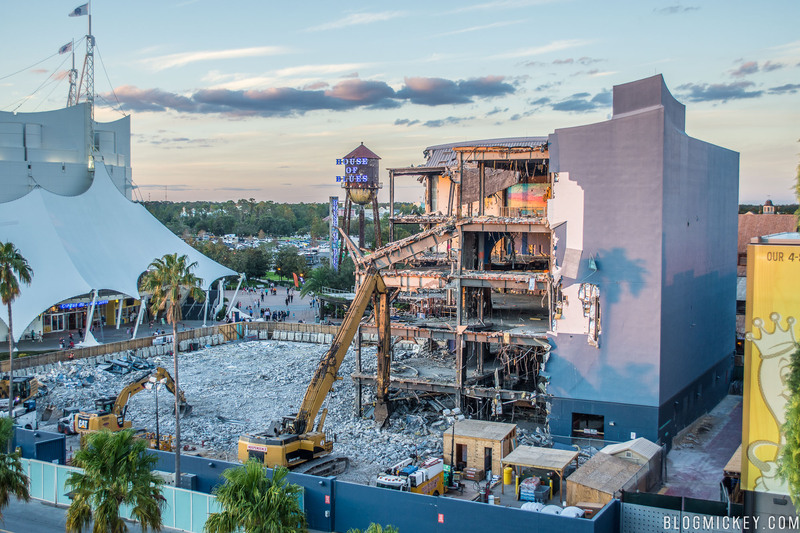 The building is probably 60-70% demolished at this point, with the majority of the remaining work to be completed nearest guest areas. Let’s take a look. First, an overview from atop the Orange parking garage. Here’s what it looked like 9 days ago. 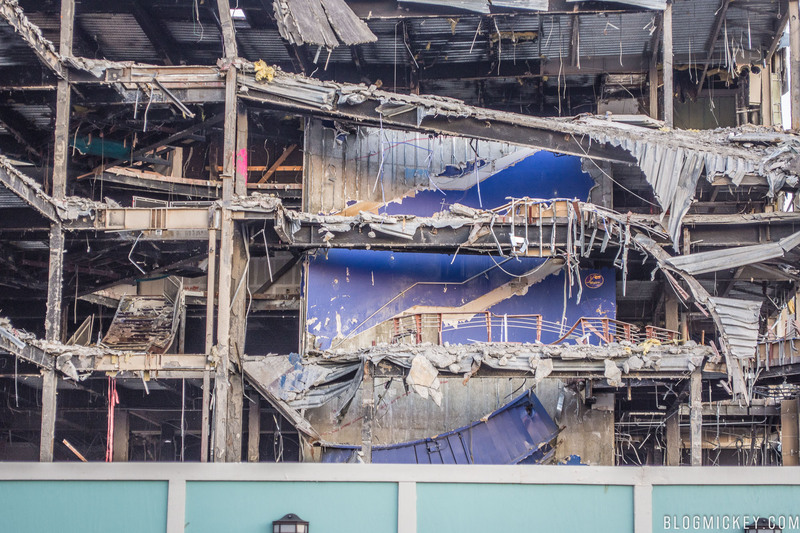 Walking around the site, we can see directly into what is left of the building. 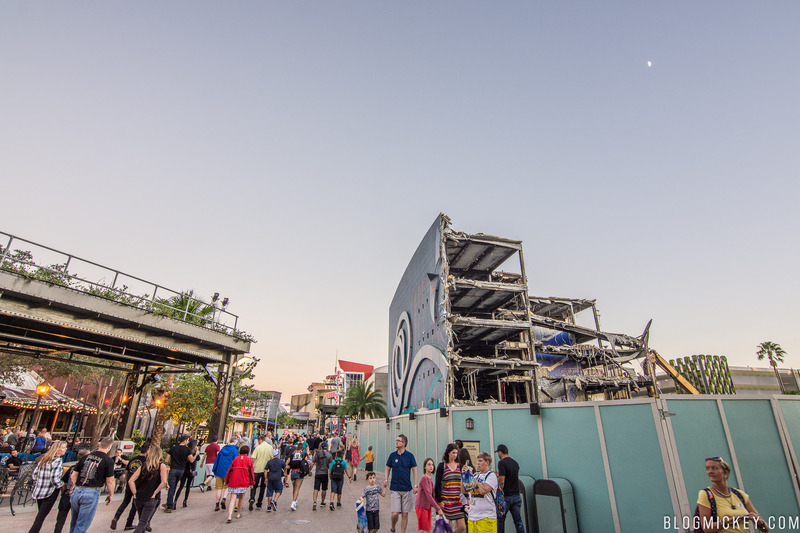 A look at the guest walkway during a busy Friday night. 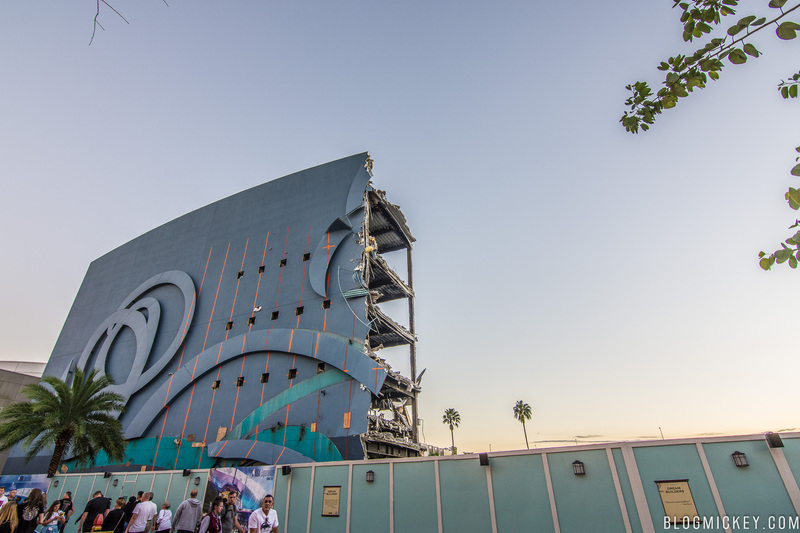 Finally, a look at the front of the facade. A look back to just 7 days ago. 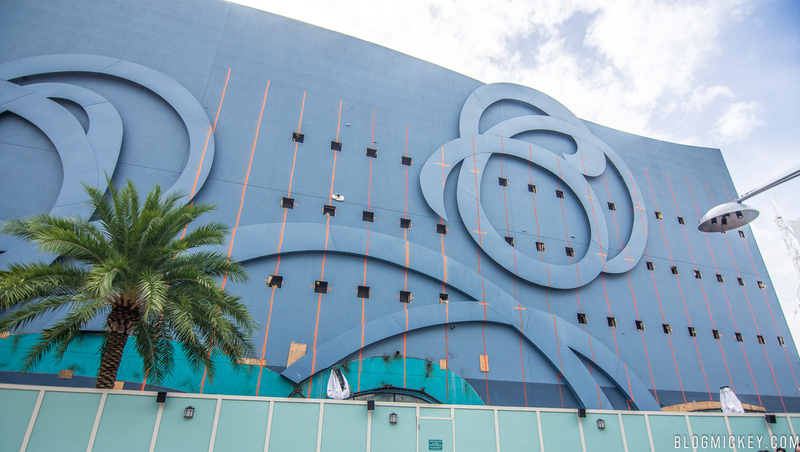 DisneyQuest will be completely demolished by the end of November, making way for construction crews to work on The NBA Experience. 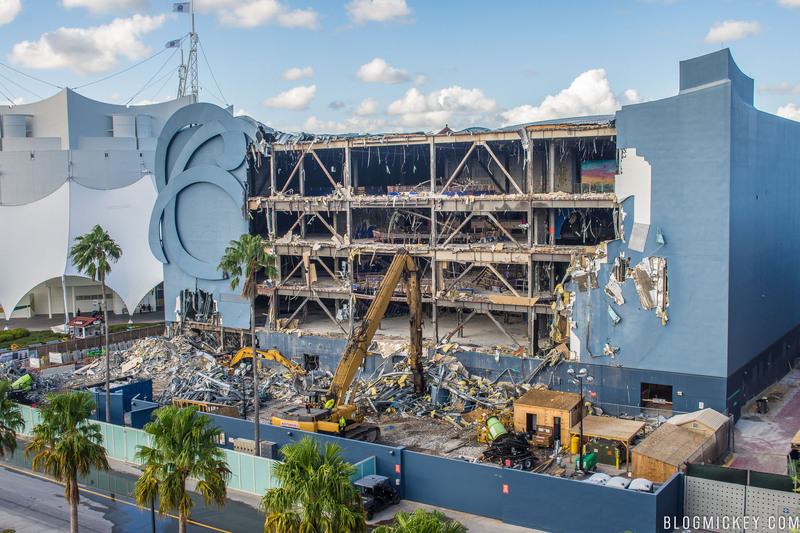 The NBA Experience will open in Summer 2019.